Hello guys, although this is not a site about music I just decided to show you guys the best music apps. We all know Music is what makes one happy and refreshed.We choose the type of music we want to listen to. But not all have the time to listen to all the songs they might want or even import all songs to their playlist. This is where streaming apps come into action. Because there are many music streaming apps, it becomes difficult for people to realize or even notice the best out there. You might wonder, why do I need this app? There are many reasons to have music streaming apps but i will just tell you some. One reason you need it is because one faithful day your device storage will be filled up and then you will begin to filter out some songs from your list or sort out the best you should leave in your device and this will be a problem, but with the few apps mentioned below they have unlimited storage. Secondly, using a music streaming app will introduce you to news music and songs that you might finally enjoy and it may end up on your playlist. 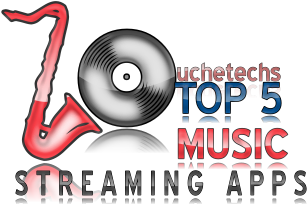 Now, let's list the top 5 streaming apps for this year. This app is a free app with good features. You wouldn't see it in play store for some reason but it's a quality app that has a lot to offer. It is a free app but has a lot of advertisements that pop up in the way It uses Samsung Milk Service with offers humongous collection of music. To get rid of the apps restriction that has a limited number of skips and ads as well, you will pay an In-app purchase which is about $3.99 and in Naira it is N1,398.061k. This app is literally a part of the Amazon Prime service which includes other perks like eBooks. 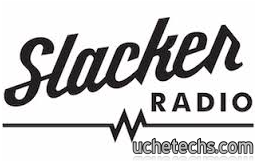 You can listen to thousands of songs on the app, check out a numerous number of playlists and radio stations. 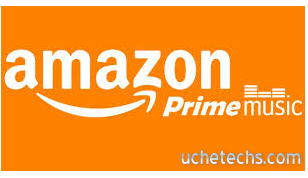 The Amazon Prime Service also offers a humongous number of movies and TV shows to Entertain yourself with the subscription which is about $99 yearly which is about N34,000. Very expensive right?. But, i think it is all worth buying. This is a free and also a paid app, we all know this app as Google are popular worldwide. 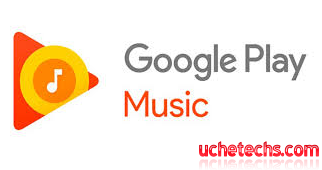 After subscribing to the service for merely $9.99 per month, you can access many interesting features of Google Play Music, track all the genre-based stations and tune into them as per your mood. It has the feature to save app for offline visiting when you don't have internet access. It will also be ad-free if you pay for the subscription as the price has been stated above. The best part is that you can add your own music to the play music library to integrate your playlist with your favorite songs. 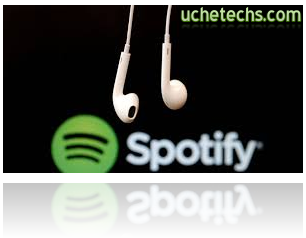 Spotify is also a good all which offers the same product to both the subscribed users and also those who are yet to. Subscribing will get you high-quality music, good audio quality and will also disable advertisements. Also, your music library will regularly be synced with new songs. Pandora is also a powerful app to which you can add playlists with any name that might resemble the genre. It is also a free App but you will be disturbed by ads except you purchase in-app stuff. Other additional features offered by the app are sleep timer and alarm. You can add some bonus features to your basket by getting a subscription for $4.99 per month which is N1,748 in our currency. So, here we end our list of the Top 5 Music Streaming Apps for this year 2017 on android. I hope you will check them out and i assure you that you will surely find the one which suits your convenience. Though not all of them are free, the price they demand is totally worth it. If you have anything to say about the app, comment below and thanks for coming. Watine you come think e be before?